Sometimes we take the unique experiences—that many would kill to learn about or in my case, read about—that we have been lucky enough to live through for granted. It's happened to me a couple of times as an adult already, including last week when KCRW's Press Play kindly asked me if I would go on air and talk about the Latino craft beer movement currently happening in Los Angeles. Oh, you mean literally the only topic that my Latino beer industry expert homie Julio Trejo of In The Suds and I talk about every time we get together? And the type of beer I grew up drinking? I owe my craft beer palate to Victor Ramirez and his family's craft beer emporium in Boyle Heights, Ramirez Liquor. I grew up being able to taste the OG Xocoveza—that Insurgentes Brewing collaboration with Stone—since before Stone made it their own. Same goes for many other other Latino-owned craft breweries like Progress Brewing in El Monte, Pacific Plate Brewing in Monrovia, Wiretap Brewing in Lincoln Heights, and now, what I think will be the tipping point Border X...in Bell. In any case, check out this link of the show's (May 1st, 2018 episode) archive to hear me to geek out about jamaica ales with Madelaine Brand. I'm at the 38th minute mark. Also, shout out to the homebrew club, SoCal Cerveceros, who got left in the cutting room floor in this interview! 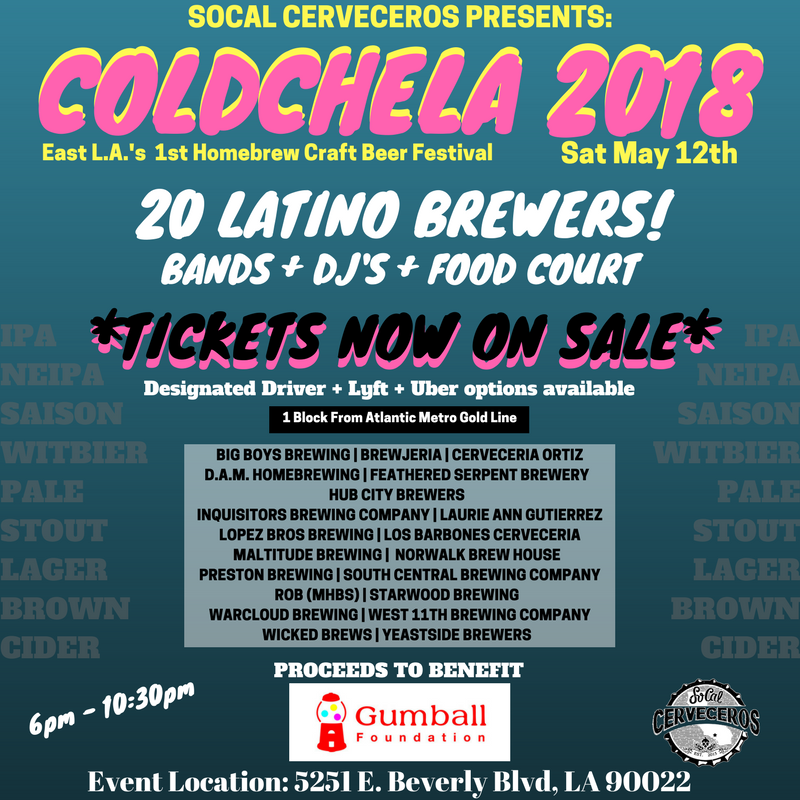 And if you haven't already, it's probably a good idea to buy tickets for their first annual Coldchela happening on Saturday, May 12th.